The Cape Verde islands consist of two small (volcanic in origin) archipelagos, about 400 miles off the western coast of Africa. These once uninhabited islands were first discovered by the ancient Phoenicians, then later colonized and exploited by the Portuguese, beginning in the 15th century. In the 16th century the islands became an infamous trading center for African slaves, and eventually, an important stopping point for transatlantic sea traffic in the 19th century. In an attempt to cripple the growing nationalism, Portugal transformed Cape Verde from a colony to an overseas province in 1951. The African Party for the Independence of Guinea and Cape Verde (PAIGC) was organized in 1956, sparking a movement for independence, and demanded improved economic, social and political conditions. By 1961, rebellions against Portugal had mounted into a war of 10,000 PAIGC soldiers against 35,000 Portuguese and African troops. Although numbers weren't in their favor, the PAIGC was successful in gaining control of a majority of Portuguese Guinea. 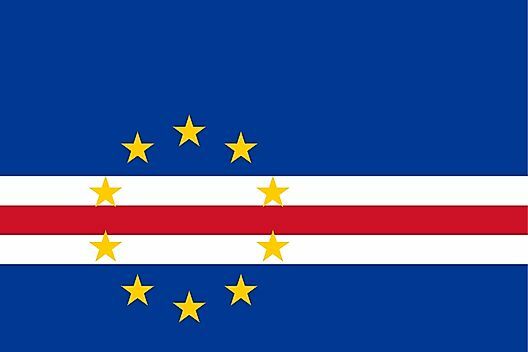 The islands gained their independence on July 5, 1975, and politically has remained a stable democracy; however, as of 2007 Cape Verde is considered as a developing nation and currently has a population of 113,364. 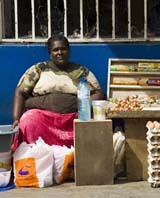 Most of the indigenous people are descendants of African slaves, and some still speak Crioulo, a Creole dialect. The local economy depends on agriculture and limited tourism. Unfortunately, consistent drought has ravaged Cape Verde for decades, and many of the residents have moved away as food shortages are common.